BML upgrades - Henry Williams Ltd.
Henry Williams are proud to be a part of the Brighton Main Line improvement project. The London to Brighton line opened in 1841. Since then the number of passengers using the service has grown to over 300,000 per day and is one of the busiest railways in Europe. The line operates a 24 hour 7 day service except for Sunday mornings from 00.30 to 06.00am. It is because of the popularity and passenger numbers that Network Rail has embarked on a reliability and performance improvement scheme to assist this overworked Victorian line. 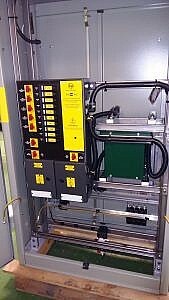 Henry Williams have been awarded a £400,000 contract to supply the signalling power distribution equipment including Functional supply points (FSP) for trackside equipment and Functional switch rooms (FSR). This is a fast track project with FSPs being required on site within 6 weeks of the order and two of the Functional Switch rooms being required 4 weeks later, the whole contract for us is 14 weeks. 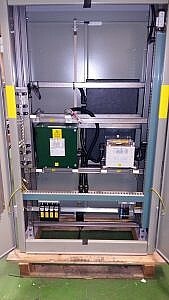 The installation of these units will ensure that the upgraded signalling will have a clean and uninterrupted power feed, reducing signal failure or issues. Which is essential when services such as the Gatwick express service use this track ensuring passengers arrive in time for their onward journeys.